I’m so excited to bring you my free 2016 blog planner today! As you may or may not know, I’m a total planner addict. I rely on my planner and bullet journals 100% to keep track of every aspect of my life. I use planners to manage my family life, my health and of course, my blog. I also rely on my blog planner to organize my blog ideas and track important information like statistics, passwords and income vs. expenses. Last year, I created a 2015 free blog planner and the response was fantastic. I’m happy to share with you my updated 2016 blog planner to get you started on the right path toward your blogging goals in 2016. Whether you use my blog planner online in Google Drive or download it to Excel or print, I hope you’ll find it a useful tool to ensure your blogging time is more productive and your thoughts more organized. So let me tell you about the planner I created and the secrets of how to get the most out of it. After NaBloPoMo last year, I learned 7 valuable lessons about myself, my productivity and my blog. I needed a planner that could offer these 3 benefits and that’s when I decided to create it myself. No matter where and when a great blog post idea or idea to improve and grow my blog struck, my paper blog planner was rarely nearby. I needed a planner at my fingertips to ensure my idea wouldn’t get lost in the chaos of my day. My blog is my passion. Ideas are constantly whirling around my head, so I needed an easily accessible place to get them all down. So I began using the Google Drive on my smartphone whenever I got an idea I didn’t want to forget. When do I get most of my ideas? While I could carry my paper blog planner to most of these places, I don’t. My purse is heavy enough already. I could jot it down on a zillion scraps of paper or post it notes but I risk losing it. The Google Drive app captures the idea efficiently and effectively since my smartphone is always nearby. I’m a functional planner. I love pretty planners but I need my planner to corral my ideas and tasks from my racing mind. I’m limited by Google Drive’s font choice which is not stellar, but the functionality and efficiency help me overlook the lack of pretty fonts. * add blog post ideas to my editorial calendar which eliminates the need for the WP Editorial Calendar plugin (keeping plugins to a minimum helps maximize your site’s load speed). With my free 2016 blog planner, it’s a breeze to add or delete another sheet, column or row to make sure you have what data is relevant to you and your blog. I gained efficiency by having all my blog data in one place and customized just for me. My free blog planner started as two sheets but easily grew to 33 sheets before I published it last year and I added two more for you this year. Ready to see what this year’s free blog planner looks like? Well, here’s a peek inside the planner. There are 35 spreadsheet tabs/pages in my free 2016 blog planner. Type in your overall goals for the month and important dates/events at the top. Enter blog post ideas, chat and webinar dates on the respective day to see an overview of your blog content & schedule for the month. Can’t write what you thought you would or had a new better idea? Just copy and paste your idea to a different day. A separate tab for each month, January – December 2016. This version of the editorial calendar allows you to keep track of post title, date, category and status for each post. Do you forget to check SEO, set a nofollow link, a featured image or fix the Facebook image before you publish? I do, so I included this checklist so I don’t forget. Since I am a book blogger, I included columns to cross post my reviews to Goodreads, Amazon and B&N too. Evergreen blog posts are those posts that are not time specific and readers can search for anytime. Examples include book discussions, nonsponsored product reviews, recipes, home organization and blogging tips. I used to include an unscheduled draft in WordPress every time I came up with a blog post idea. The problem is if I didn’t write the post relatively soon, the unscheduled draft was pushed down further and further until it falls off the main posts page. Out of sight, out of mind. Instead, by jotting down the idea in my Evergreen Blog Post Ideas Tracker, I can access it anytime I am ready to write and I don’t lose the fabulous idea in the cemetery of forgotten drafts. A checklist to remember important monthly maintenance like backing up your blog, cleaning up your sidebar and updating your income/expense reports. Are you a linkup fanatic like I am? Linkups are great ways to get new readers to your blog and share your content with a new audience. Jot down the info regarding your favorite linkups including host URL, type of linkup (ex. recipes, books, general), the time the linkup goes live & duration and any restrictions or requirements to complete. I have taken the liberty (aka shameless plug) of adding the Small Victories Sunday linkup I host as examples because I would love to have you link up with us! Get Your Free 2016 Blog Planner Now! The best part is that this planner is it is free, my gift to you. 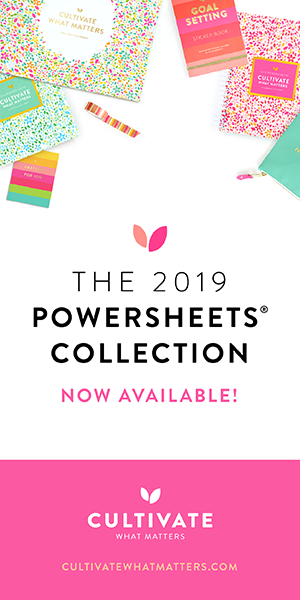 Subscribe now and the links to the Google Doc, Microsoft Excel and PDF versions of my 2016 blog planner will be sent to you in my welcome email. You can save copies to your computer and customize the Google Doc and Excel versions for your blogging needs. This planner is for personal use only, please do not mass distribute or sell without permission. Looking for more great planning and organizing printables for your blog or home? Be sure to follow my Planning & Organizing board and Blogging Tips board on Pinterest! Follow Tanya @ Mom’s Small Victories’s board Planners & Organizing on Pinterest. Follow Tanya @ Mom’s Small Victories’s board Blogging Tips on Pinterest. This post linked up with Mommy Monday Blog Hop , Inspire Me Monday, Best of the Blogs Linkup, , Motivation Monday Linkup, Merry Monday Linky Party and SITS Girls DIY & Recipe Party. Wow…I love this! This is a great blog planner and I’ll definitely have to get my printer warmed up! Thanks so much for sharing with us at Share The Wealth Sunday! What a nice blog planner! I am a digital gal too. This is such an impressive planner. Really great information. Valuable blog planning tools, Tanya. Thanks for sharing! I can’t believe I missed this post, Tanya. I love your planning content. Thanks a lot for sharing it. I’m spreading the word. Thank you! What a valuable package!! Wow! This is the most thoughtful Google doc for bloggers that I’ve encountered. Thanks for the work and for sharing! Thank you so much Marnie, I’m glad this is a help to you. I love creating spreadsheets to help me organize my chaotic thoughts and thought others might benefit too. Of all the blog planners I’ve seen out there, this is the best one yet! Thanks for this Tanya! LOVE, LOVE these, Tanya! I’ve seen dozens of these planners, and this, by far, is the best! I cannot wait to start using them. I need to make a good one for Fibro awareness month events, posts, and other activities. Thank you! Wow I love your blog, and the planner is impressive. I tried to subscribe but nothing happens when I hit the subscribe button. Help! I love your planner. Thank you! Hmmm, mailchimp shows you subscribed Dec. 15th. You should have gotten a welcome email in Dec with the links to the printables. 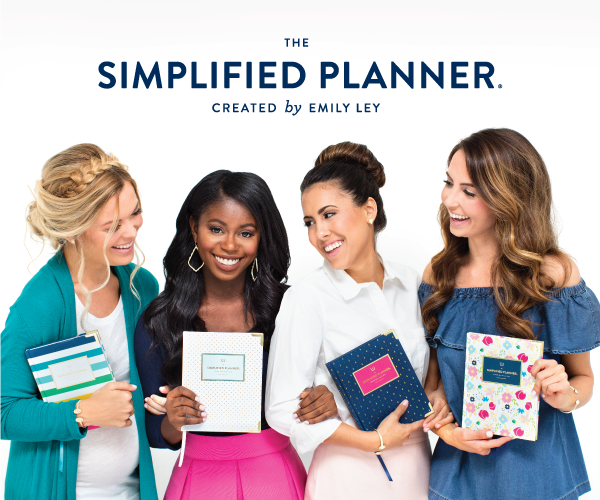 If you can’t find it, let me know which version of the planner you would like and I will email it to you. Thanks for the compliment and for subscribing Vivian! Thanks for bookmarking. Yes, you I knew you could add different fonts. I did that with last year’s planner. I think the end user has to have the same font installed or it won’t look the same. I’ve been playing with Google fonts for my new blog design. What are your favorites? Thanks for the tip and stopping by! Oh, you’re probably right about them needing the same fonts. Even different browsers will display fonts differently and only some PDF readers will download the right fonts. I’m a big fan of simple clean font’s that are commonly available so you won’t find me complaining about easy to read fonts. On the other hand I’m the person who would be happy to download a specific font or two for a pretty planner to render right. Thank you so much Monica. I love providing planners that help fellow bloggers. What a great idea! I must admit I don’t usually plan my blog much at all but this year I’ve got so many ideas for my blog floating around that I am having a hard time figuring out when I’ll get to them and trying not to forget them all in the meantime! Sounds like me, I always have a zillion ideas and it’s sometimes hard to focus or remember that great idea I had. I’m glad you find my planner useful. Hope you stop by and share some posts with our Small Victories Sunday Linkup. Thanks so much Emily for the kind words and pinning & stumbling! This is super helpful! I just started blogging and have been looking for a basic planner that covers all of the bases. Thank you for sharing. Thank you so much! This is exactly what I have been looking for. Pinned it! You’re very welcome Amanda, thanks for pinning!! I could honestly fill a library with all of the notebooks I keep for various blog/life functions. Too bad I didn’t find this sooner. We could have saved a few trees! Thanks for sharing! This is such a great resource. Thank you for sharing at MeetUp Monday Link Party! My head would explode without my spreadsheets, there’s no way I could manage with paper. Thanks for posting. Hello from Small Victories Sunday. This is amazing, Tanya! Thank you so much for taking the time to create it! Thanks so much Echo, glad you find it helpful. I use a paper editorial calendar and am in desperate need of an upgrade! I am bookmarking this page. Thanks! Cool! I’m working on my own free resources and love to see what other bloggers are up to. Thanks for sharing, this is a wonderful resource! Thanks Chantal, glad you found my blog planner helpful! Yay! 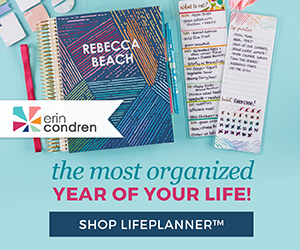 I love all things planner and paper and I also love the free blog planner! Thanks dear!! You’re very welcome! So glad you can use it. You’re welcome lovely! Thanks for pinning. This looks SO helpful. Thank you! I’m still blogging without a true system in place. There are some general things in place, but I’m always eager to learn from other more organized bloggers! I’m always looking for the perfect planners. Can’t wait to check yours out! Thank you so much for all the hard work that must have gone into this! Just had to subscribe and get my own. Also sharing on twitter and stumble upon. I like the section that lets you jot down your Evergreen Blog Post Ideas. That’s something I would benefit from instead making a titled blank Word document and usually forgetting about it. Thanks Yona, I tend to blog a lot of events, weekly linkups and menu plans that I needed this to get down those evergreen ideas that are timeless and keep readers coming back. Thanks for downloading. This would be so helpful! I was just saying how I was looking for something to help me to keep up with my blogging stuff for the new year! So glad to hear you can find something to help you in my planner. There’s so much more work involved with blogging than I ever thought. It was hard to keep track of everything so I had to make this to help. It looks like you have it all covered here. Great planner! You’re very welcome Trish. Glad to help! Oooh, a free planner. Love it. I have to write things down though in order to stay On top of everything. Me too, I corral my ideas into the online planner and then transfer the tasks into my paper planner when I plan my week on Mondays. I use both electronic and paper for now. Thanks for stopping by, hope you find it helpful! Oh wow, and I was just thinking of buying a planner. Thanks for this! You’re very welcome. I hope it’s useful to you in getting your blog to do’s organized! This is great! I need more ways to get organized! What a great planner. I actively use Outlook to help me plan out my posts. Oh wow, this took a lot of work. Thanks for the blog planner. I’ve been looking for a good one! Wonderful, Jeannie. So glad you will find this helpful. I love planning and organizing too! I love that everything you could possibly need is included! Oh thats awesome! I need a new blog planner for the year, thanks for this one! Great planner! It covers so much! Thank you for sharing this with us! wow you have really covered everything here – great job! Wow! This is great! I need to get more organized! Aw thank you so much this looks so helpful I will download it now. Thanks so much Wendy. It’s quite a compliment you’d pay for it. I love to be able to share them for free since I know I love and appreciate all the free resources I’ve received over the years. My little way to help fellow bloggers. I use this with my paper planner. This corrals everything for my blog and then I write in tasks, chats and posts in my paper planner on Monday mornings when I do my weekly planning. Hi, Tanya! I just wanted to let you know that I’ve been using this planner for a few days now, and it is really working well for me! I cannot thank you enough for sharing this. I knew in my head what I wanted, but just didn’t know how to get/make it/figure it out. Again, thank you! Oh I’m so glad the planner is working well for you. I’ve had a difficult day with getting new internet service so this is music to my ears. I love to help others any way I can. I entered a couple pins in your Pinterest Game for this week, thanks for invite, I love Pinterest linkups. Oh great Julie, my planner started as something simple just for me but it was so easy to expand and figured it’d be useful to my fellow bloggers too. Tell me what you think when you’ve had a chance to try it out. Thanks for subscribing and sharing! You’re welcome Cathy! Hope it’s useful to you and I look forward to hearing what you think of it or what else you’d like to see. Congratulations on this, Tanya. Great work and fantastic resource. Thanks Leigh. I worked hard on it and hope you find it helpful too. There’s so much to do to manage a blog and this helps me keep track of it all. Aw, thanks Dee. Hope it helps you get organized and fulfill your blogging goals. Wow, these are amazing tools, truly awesome kit of planning aids that I can imagine purposing for many different types of blogs. If I used even a subset of these, I know I could keep details in order and maybe generate more ideas. I hope to have more steady blogging time this upcoming year, so I appreciate your super organizational mind at work, and your generously sharing this!